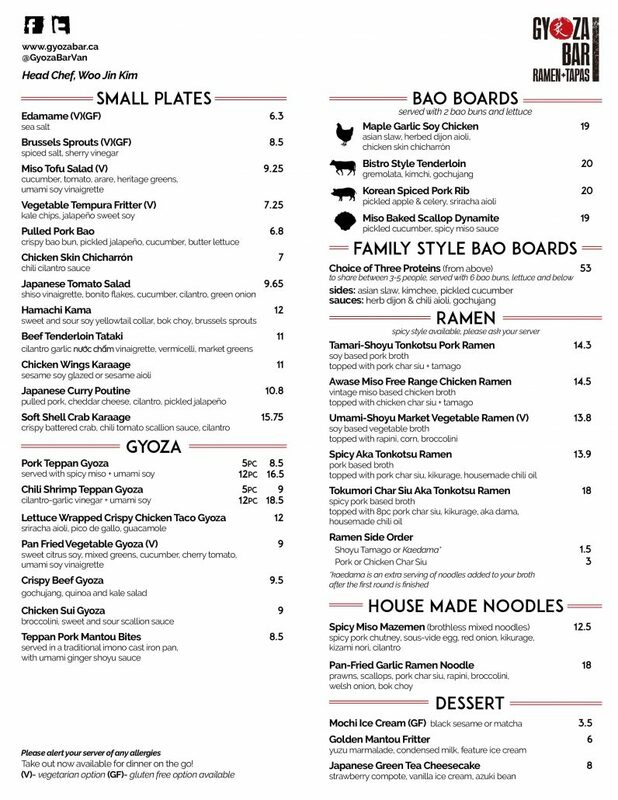 Gyoza Bar’s new dinner menu allows the guest to enjoy the full Gyoza Bar experience: from flavourful gyoza and appetizers to our new Bao Boards, all paired with wines on tap. Our upbeat atmosphere is perfect for a dinner shared with friends or unwinding after work. Our open kitchen and friendly staff and cozy, rustic design creates a comfortable and fun dining experience.